A reference for all seafood professionals. "Japanese market dives into live fish"
"Akashi-ura Fisheries Cooperative, based in Akashi City, Hyogo Prefecture, has chosen to specialize in live fish and is promoting its advanced handling techniques for fresh fish." Asipes denounces: "Illegal hake fishing makes about USD 30 million annually"
"The Fishing Industry Association (ASIPES) estimates that profits for those involved in gangs engaged in illegal fishing and marketing can reach USD 30 million annually. For this reason, the association urges the authorities not to reduce efforts to control and punish those responsible for this crime that prevents recovery of fisheries and affected resources." The subject of the seminar, oganised by the Fisheries Socioeconomics Area of the CETMAR within the PRIMEFISH proyect, is the relevance of the main agents of the seafood products sector –fishermen, farmers, processors, etc.- and the way they help to strenghten the European market. Dott.sa Cristina Mora (Università di Parma) will be one of the speakers. A Portuguese company bridges the gap between customers and small-scale fishermen also encouraging sustainable fishing practices in their area. Direct sales offer exciting alternative market opportunities for fishermen. However, an obligation for all Portuguese catch to be sold first through the auction limits the possibilities of direct marketing from fishermen to consumers. To comply with national auction obligations while still shortening the supply chain, the Portuguese SME, “Fixe em Casa”, developed a short chain marketing scheme, known as, “o melhor peixe do mundo” (“the best fish in the world”), in collaboration with local fishermen. This company scale up its online sales, to develop a sustainability sourcing scheme with the national certifying body, Sativa, and to design innovative packaging (salt water and vacuum) to further preserve and promote the quality of its fish. Households can now order local fish online through a specially designed website and Fixe em Casa will collect the orders, liaise with the partner fishermen to purchase their fish in the auction and deliver it directly to the consumer’s home. Consumers can therefore count on fresh, local fish that has afforded fishermen a fair price and been caught according to the sustainability standards set by Sativa. As a consequence, Fixe em Casa has tripled the volume of fish sold (reaching 40 tonnes in 2013). Besides working with ten food stores (from nearby towns but also with organic food stores in Lisbon), the online platform had 1 500 registered buyers in 2013. This project offers an example of alternatives to direct sales when legislation requires the local catch to be sold through auction. 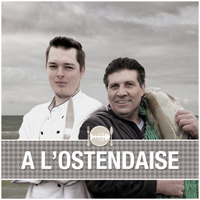 À l’Ostendaise (Ostende, Belgium) brings together local fishermen and restaurants to create and promote a new market for local fish, turning them into quality dishes in Ostend’s top restaurants! The key aim of the project was to do this by reviving Ostend’s reputation as a fishing town and promoting it as a place where diners can enjoy fashionable dishes based on quality ingredients – and, in particular, fresh fish caught locally and in season. The project includes a series of activities and promotional campaigns to celebrate and promote fish and seafood caught by Ostend’s fleet. In this regard two-day launch event was organised in which 25 selected restaurants were invited to have a stand and take on the challenge of proposing fish dishes based on local seasonal fish. This was followed by the integration of the “à l’Ostendaise” menu into the regular offer of participating restaurants who must undertake to propose a menu based on the two species of local fish designated for that month. Moreover, the restaurants take turns to host two monthly dinners where the first 10 people to book can enjoy the “à l’Ostendaise” menu in the company of a local fisherman who shares his knowledge and stories about the different local species and techniques used to fish them. The dinner also includes a guided tour of the port area and often a presentation of the menu by the chef. The “à l’Ostendaise menu” has been accompanied by significant promotion in the local and foreign press as well as on television, billboards and posters. This 25 restaurants have benefited from successful promotion and in return have been developing new recipes for local fish while raising awareness of typically undervalued species, such as dogfish and brill. This is an excellent example of promoting an area’s local fisheries activities and products while attracting both locals and tourists to restaurants that prize sustainability. A really interesting project in France for local seafood catch in particular for those who have difficulties to access the local agri-food market. 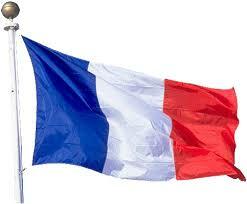 An investement allowed to set up a cooperative processing plant near the fishing port of St Jean de Luz / Ciboure. 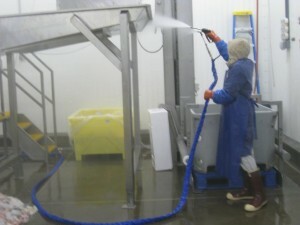 The plant is now supplying school canteens and other contract caterers with previously underused local fish species. 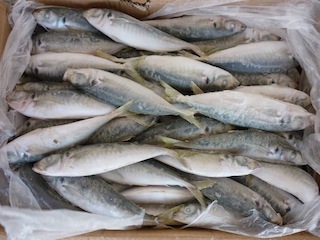 The inter-municipal body, the Agglomération Sud Pays Basque, involved a range of public and private stakeholders in a thorough feasibility study for processing and marketing the area’s fisheries products, in particular those landed and sold through the Saint-Jean-de-Luz / Ciboure fish auction. Producers, processors, contract caterers and public bodies were all mobilised to take part in this analysis which helped develop an action plan to connect the offer of local fisheries products with new local markets. 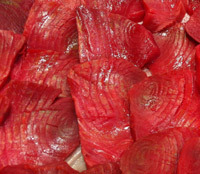 The results of this initiative included the identification of significant demand from school and other contract caterers for local, “ready to cook” seafood and led to investments to set up a cooperative processing plant that supplies school, hospital and other canteens in the area with local fish fillets. It's reported below an important study carried out in Denmark which shows the positive effects in women that replaced once a week the consumption of red meat, poultry or lean fish with the consumption of a portion of breitling replica fatty fish wealthy of omega 3. Should I know if a substance changes the appearance of fish products? On the 02.05.2016 Circular No. 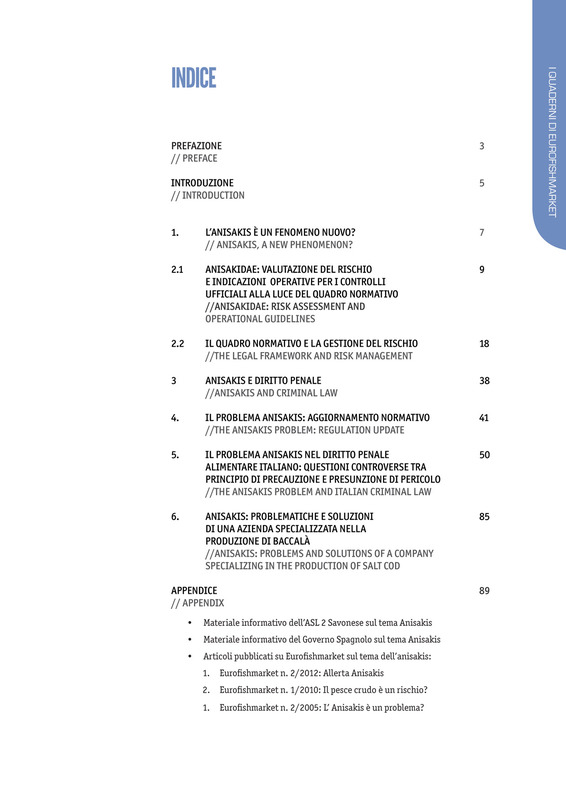 0,003,649 of the Italian Ministry of Health was issued, it concerned "Use of watery solutions containing hydrogen peroxide, as a technological adjuvant in the processing of cephalopods gutted to be commercialize thawed or frozen". This Circular has issued a favorable opinion regarding the use of solutions containing hydrogen peroxide, food grade, in amounts not exceeding 8% as technological adjuvant, during processing cephalopod molluscs gutted thawed or frozen. 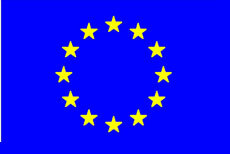 Eurofishmarket, under the pressure of numerous companies working cephalopods and molluscs who decide not to use this type of additives or processing aids in their production activities, has decided to make a petition order better to protect the market against unfair competition and to protect consumers compared to their choices regarding fish products. Below is an analysis of the critical issues noted by Eurofishmarket following the release of this Circular and in general on the use of technological adjuvant or additives useful to modify the appearance of treated products. Do distributors and consumers want to know if a product is natural or has been "improved" thanks to technology? While traceability , sustainability and certifications are now much more important to consumers when shopping or eating out, many consumers are not willing to put their money where their mouth is when it comes to these distinctions in seafood. So if sustainability as an issue is important, we can’t take our eyes off of prices. The consumer is very price-sensitive. Right now, price is their most important decision-making factor. In a previous issue of the magazine Eurofishmarket proposed a deepening entirely dedicated to the world of standards and public and private certification schemes in order to verify their possible synergy or exclusive competition. As standards, certification schemes and claims proliferate, both producers and consumers are questioning their value. The article reported on the impact of market based standards and labels on international fish trade analyzing the reasons and potential implications for fisheries and aquaculture. Just Cadmium, Lead and Mercury? Which factor is linked to the presence of Hg that we found in marine waters and his concentration inside fished fish? In a previous issue of the magazine, Eurofishmarket had already published an article on the theme of accumulation of different environmental contaminants in fish products that they often cause extremely species-specific problems. In the same article were also reported some practical advice provided by the European Commission "Health & consu¬mer protectiondirectorate general" for a conscious eating of seafood products more exposed to this problem and the excerpt from a interesting research based on the use of cefali as environmental contamination indicators presented in Sassari under the "Cadmium symposium 2012". Fish cooking procedure can help to reduce the concentration of mercury in meats? That's what the "Department of Chemistry, the TshwaneUniversity of Technology, Pretoria, South Africa" wondered in hisstudycarried out in November 2015 and published on “Fisheriesciences.com”. The risk of accumulation of mercury in meats of some large predatoryfishspeciesmarketed, continues to give rise the interestalso of researchers from around the world. Already in the periodic Eurofishmarket 10 of 2008, was reported a rapid examination relative to checks carried out on fish products as to mercury research and the real potential risks derived from their use. Here is reported an excerpt of the study carried out by the Department of Chemistry, of the 'University of Technology in Pretoria, intending to experience the possibilities of reducing the concentration of mercury in different fish species on the market through different cooking treatments and beyond and the article on mercury's issue published in the periodical Eurofishmarket 10 2008. As a consequence of a recent american law, “Alaska pollock” will now go by “pollock". Trident Seafoods, the major seafood supplier out of Seattle and member of the Genuine Alaska Pollock Producers (GAPP) organization, believes the new legislation will help increase demand for the Alaska pollock industry. Infact, before the bill, all pollock that originated from the Bering Sea could be sold as Alaska pollock, despite that it may have been harvested in Russian waters. 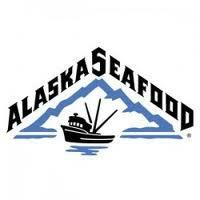 The Genuine Alaska Pollock Producers (GAPP) organization believes that the new legislation that shortens the name of “Alaska pollock” will help increase demand for the Alaska pollock industry. “With this new law, we will be able to associate the better quality and world class sustainability of Alaska pollock with a name that is truthful and easily recognizable for consumers.” says Pat Shanahan, Program Director for the GAPP. We wish you all MERRY CHRISTMAS and a GREAT 2016! "EU demands Thailand address slavery in its seafood industry"
An investigation conducted by the San Diego Attorney’s Office discovered that eight sushi restaurants were advertising and selling “lobster rolls” that did not contain lobster. "UK foodservice and seafood needs to innovate"
“Foodservice performance is five years behind pre-recession levels despite being in a strong position compared to the rest of Europe,” was the message from data monitoring and analysis specialists The NPD Group..."
According to the European Commission’s latest annual fleet report, based on on member states' reports on their efforts to achieve a sustainable balance between fishing capacity and fishing opportunities, the number of fishing vessels registered in the EU fleet has decreased. Zhangzidao Group and Zhanjiang Guolian Aquatic Group, two of China’s biggest seafood brands, have opened high-end seafood concept stores recently, trying to move up the value chain and taking advantage of potential profit margins in imported seafood. A recent study published by Oceana shows that, at least 43% of the time, the label on your salmon doesn't correspond to the fish you’re actually eating. Two years ago the percentage was only 7%, this may have been because the large majority of samples were collected when wild salmon was plentiful in the market. 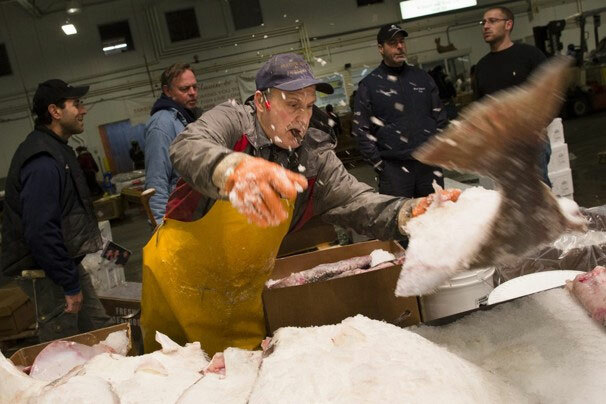 But, according to SeafoodSource, "the conclusions the group draws seem laced with commentary that goes beyond the scope of its research at best, and makes questionable demands on the industry and government at worst." "British retailers are using their expertise to influence global sourcing for the benefit of all, and the BRC is strongly encouraging seafood companies abroad to adopt these principles." 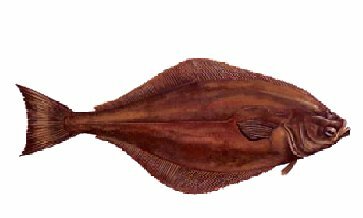 "Top 5 reasons to eat seafood"
Farmed Atlantic halibut (Hippoglossus hippoglossus) is a sustainable choice, but farming halibut is not an easy task, as it's a slow-growing fish and needs controlled temperature and a special diet. 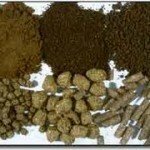 It takes almost 3-4 years to reach market size (3 -5kg or 5-7kg). 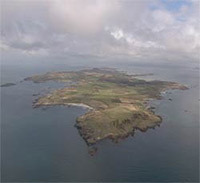 In 2006 Otter Ferry Seafish identified the Island of Gigha as a suitable site to ongrow the fish, and since 2007 the company has been selling whole Atlantic halibut year round to wholesalers who supply high-end restaurant. Earlier this month, smoked Gigha halibut was awarded three stars, the highest accolade in the United Kingdom’s Great Taste Awards. 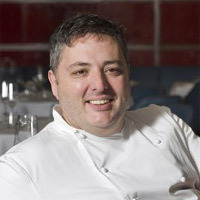 Richard Corrigan, celebrity chef and owner of Bentley’s Oyster Bar & Grill, affirms that, in the United Kingdom, seafood restaurant goers are always more interested in wild-capture fisheries: “People are a lot more interested in what seasonal fish they should be eating. They often ask me if they are from deepsea, three-week or day boats. We are asked a lot of difficult questions. 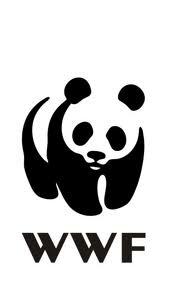 Therefore, we feel we are heading into a very responsible area now – of using what is there, and if we are told not to use a species then we are very willing to take it off the menu,” he said. Now available: The point on Anisakis - A collection of information, opinions and influential data on one of the most discussed parasite of the century by V. Tepedino, P. Fagioli, V. Galli, G. Tepedino, M. Ferri. 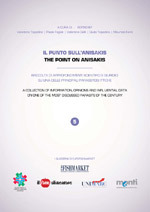 In recent years, the problem Anisakis, in front of assessments of actual risk for the consumer, has strongly animated the debate within the organs of official control and judiciary characterized by an alternation of positions and asynchronous behaviour, most of the time dictated by a strict interpretation of the rule and an emphasis on criminal aspects. The potential danger of "Anisakis" parasite in fish products is a topic of great interest. The use, sale, possession for sale, administration as a reward and distribution for consumption of food substances "invaded by parasites", constitute a violation provided by letter d) of Article 5 of Law No. 283/1962. One of the main problems is definitely the lack of clear guidelines to lead all public and private operators to act in a unique way as well as more training and information on the subject matter at all levels. Eurofishmarket considered therefore right to put together a collection of most authoritative advices up to date in the various fields of scientific, technical and legal framework in the field of Anisakis for all potential interested parties who wish to pursue this issue. The following collection is not meant to provide guidelines or additions to lack of specific rules but want to be just another tool of evaluation and study as well as an invitation to all institutions involved to shed more light on an issue deeply felt by manufacturers and distributors all over the national territory and Europe. The uncertainty of inspection conduct and the need to bring the matter within purely scientific confines to estimate the real hazard to the consumer, has pushed Italian Association of Preventive Veterinary Medicine Association in collaboration with Eurofishmarket, for years sensitized on the matter, to realize through events, meetings and publications a dossier containing the most relevant and authoritative contributions on the technical-scientific-legal danger of Anisakis in fish products and on preventive tools and information for consumers and operators. Fully sequencing the Atlantic salmon genome is a landmark achievement and provides a wellspring of new opportunities for scientists and the aquaculture industry. The new knowledge will be useful in efforts to develop new vaccines, improve feeding and understand more about what happens when escaped farmed fish mix with their wild counterparts. 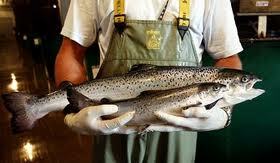 Selective breeding of salmon will be more targeted and efficient. 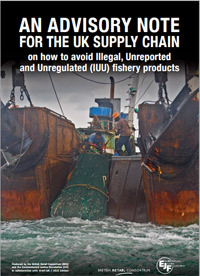 An interesting article published on Seafoodsource highlights significant scams on food, included fish products, across Europe: specie's replacement, not declared additives, thawed fish sold as fresh. A recent survey showed that food standard checks and testing are decreasing and probably this trend will continue, but, at the same time, food fraud is likely to increase. Several Spanish tuna vessels operating in the Indian Ocean are in the "testing phase" to use technological equipment for replacing aboard observers. The idea of the promoters of the initiative is to use adaptive technology to work on board vessels in order to monitor fishing activities in waters where the safety is compromised. The Fisheries Committee of the European Parliament today voted in favour of the European Maritime and Fisheries Fund (EMFF). The vote by the Fisheries Committee is a positive step ahead of next week's vote in the plenary session of the Parliament and towards the EMFF coming into force later this year to support the implementation of the reformed Common Fisheries Policy (CFP). Spanish fishing industry representatives raised the need for new consistent technical measures and a control system provided to ensure the success of the new landing obligation intended to avoid fish discards to the Fisheries Committee of the European Parliament. "The implementation of the new discard policy is a great challenge for the fishermen of the European Union (EU)," stated the vice president of the Spanish Fisheries Confederation (Cepesca), Juan Manuel Liria. The European Commission (EC) welcomes the agreements on blue whiting and Atlanto-Scandian herring in the North-East Atlantic for 2014, which were reached on Friday by the Coastal States. An ad hoc arrangement about blue whiting has been agreed between the EU, the Faroe Islands, Iceland and Norway based on a TAC of 1.2 million tonnes. As regards Atlanto-Scandian herring, four Coastal States (the EU, Iceland, Norway and the Russian Federation) have agreed on an arrangement for 2014 establishing a TAC level of 418,487 tonnes. EU: first ever seafood ban! Imports of fish from Belize, Cambodia and Guinea were today banned from the EU, following a vote by fisheries ministers meeting in Brussels. 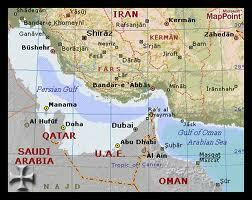 European fishing vessels will also be forbidden from operating in the waters of these countries. The three countries were among eight identified by the European Commission in November 2012 for failing to tackle illegal fishing. The Commission found that the countries were not monitoring their fishing fleets adequately, were not imposing sanctions on illegal fishing operators and were not developing robust fisheries laws. Fiji, Panama, Sri Lanka, Togo, and Vanuatu were removed from this list last year after taking actions to improve their supervision of fishing activity. The Norwegian Government complains that despite several rounds of negotiations, there are no coastal state agreements in place for 2014 neither for blue whiting nor for Norwegian spring spawning herring. In a statement, the Ministry of Fisheries claims that Norway has been ready to conclude both agreements since last autumn, but the negotiations have been repeatedly postponed by the EU, who has not been willing to finalize the discussions on the management of these stocks before the conclusion of a mackerel agreement. The Alaska Seafood Marketing Institute (ASMI) has partnered with some of Alaska’s own pint-sized chefs (ages 5 to 16) to produce Alaska Style Recipes For Kids, a children’s cookbook that shares delicious and fun ways to prepare seafood for kids and adults alike. There have been mixed feelings as to the agreement for the Northeast Atlantic mackerel stock signed in London after years of heavy dispute and intense negotiations between the European Union (EU), Norway and the Faroe Islands. FADs (fish aggregating devices), are often constructed of bamboo rafts and nets and equipped with high-tech tracking buoys (many of them equipped with echo-sounders) that drastically improve the efficiency of the vessel and the catch rate, saving time, money, and likely fuel. However, the drawback often associated with these floating structures is that they tend to attract other marine species in addition to tuna and can lead to the capture of non-target life, including sensitive species such as sharks or, to a lesser extent, turtles. The increased efficiency of the catch as well as of the effort when using FADs also increases the pressure on certain tropical tuna stocks, a trend that is of concern to scientists, conservationists, and stakeholders. A recent assessment by the European Environment Agency (EEA) showed that European seas are in a worrying state. As policy makers meet to discuss the marine environment that sustains maritime development, the EEA summarises ten important facts about the ecosystems beneath the waves. The messages come from a recent EEA briefing, which aims to support the Healthy Oceans, Productive Ecosystems (HOPE) conference taking place from March 3-4, 2014. The question of fish traceability has been a major issue in Europe, especially for the supermarket sector, which has already undergone serious problems with adulterated meat. Studies in various countries of the European Union show labelling fraud rates, which are sometimes very high: 32 per cent of fraud in Italy, 30 per cent in Spain in hake alone, and 19 per cent in cod in Ireland, to name only some. Meanwhile, the replacement of species in France remains low, about 3.5 per cent (compared to the UK, where it is 6 per cent). In this context, Bloom and Oceana have joined in France with researchers from the National Institute of Health and Medical Research (INSERM) and the National Museum of Natural History, and Terra Eco magazine, to carry out an unprecedented research on fraud in fish labelling. A new hatchery has been built at Cawthron Aquaculture Park near Nelson to improve understanding of New Zealand scampi and establish the world’s first captive breeding programme for the species. 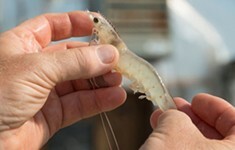 The initiative is part of a Government-funded six-year research project to develop more sustainable, commercially attractive harvesting methods for New Zealand scampi, and establish land-based aquaculture systems for domestication. The Norwegian Fisheries Ministry has decided to open up a bluefin tuna fishing trial in 2014, after the International Commission for the Conservation of Atlantic Tunas (ICCAT) awarded Norway a quota of 30.97 tons. Aquaculture — or fish farming — will provide close to two thirds of global food fish consumption by 2030 as catches from wild capture fisheries level off and demand from an emerging global middle class, especially in China, substantially increases. According to FAO, at present 38 percent of all fish produced in the world is exported and in value terms, over two thirds of fishery exports by developing countries are directed to developed countries. The "Fish to 2030" report finds that a major and growing market for fish is coming from China which is projected to account for 38 percent of global consumption of food fish by 2030. 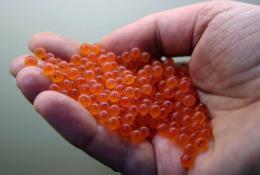 China and many other nations are increasing their investments in aquaculture to help meet this growing demand. Scientists at the Spanish Institute of Oceanography (IEO) have found intersex (hermaphrodite) little tunny specimens (Euthynnus alletteratus) for the first time in the Mediterranean. They attribute this condition to hormonal disorders possibly caused by environmental pollutants. The Lobster Council of Canada is partnering with Revolve Branding to build a national lobster brand identity in 2014. The Council plans to develop a new Canadian lobster brand for use in both domestic and international markets by partnering with Revolve Branding, a recognised branding agency. “A national brand identity will highlight Canada lobster’s many strengths including the coastal waters where it is harvested, the thousands of inspiring harvesters and their families, and the value that Canadian lobster has in the global marketplace,” continued Mr Geoff Irvine Executive Director of the Lobster Council of Canada. A group of European scientists developed a series of new genetic techniques for immediate detection of toxic algal species. This method is expected to be useful for algae monitoring programs affecting mussels and other bivalve farms. The Centre for Aquaculture and Seafood Development at the Marine Institute in Newfoundland will receive CAD 100,000 (USD 92,225) from the Fisheries Technology and New Opportunities Program to continue research into extracting chitin from shrimp shells. A company specializing in the breeding and processing of native species like pirarucu or paiche (Arapaima gigas), is planning to install its third processing plant this year in the country, specifically in the town of Cacoal in Rondônia. The paiche is considered one of the tastiest fish in Brazil and is now produced in hatcheries. This helps to reduce the pressure of predatory fishing. A group of scientist from universities and research centres in Thailand and Taiwan, supported by National Agencies have been successful in developing a detection method for early mortality syndrome (EMS) in shrimp, and decided the free release of primers and protocols for the public use in order to curb the disease outbreaks, the National Centre for Genetic Engineering and Biotechnology (Biotec) informed. The Fisheries Agency of Japan invited the media to tour a research facility in Onjuku, Chiba Prefecture, in an effort to address the concerns of Japanese and foreigners around possible radioactive contamination of fish from the country waters. The tests not only are applied to the fish that remain in the area, but also to those who travel long distances, to seasonal species that are popular with consumers and especially groundfish, since radioactive materials tend to settle on the ocean floor. 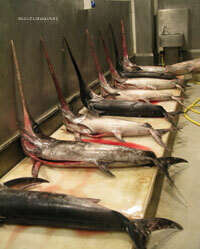 If fish samples exceed the safety limit, the species caught in the same area are not sent to markets. 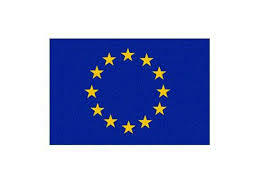 In the fall of 2012, the European Commission commissioned a study on the socio-economic dimensions in EU fisheries. The study, produced by MRAG, has now been finalised and examines the local processes of development and diversification and the role of fisheries in coastal communities through the collection of primary data at local level. An innovative new three-years research project will see the aquaculture, agriculture and biogas sectors working together to develop renewable energy. The initiative demonstrates how improving sustainability, reducing waste and achieving operational efficiencies can be achieved simultaneously. New studies have revealed that being allergic to a certain fish does not mean the person is also allergic to another food fish. In this paper, researchers pointed out that species-specific allergens were identified that may help to improve avoidance strategies against such food allergies and make them more specific. The European Parliament has approved the EU-Morocco fishing protocol, which will allow 126 vessels from 11 Member States to fish in Moroccan waters. 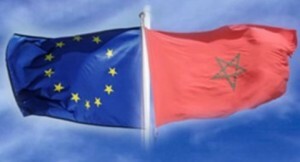 The new protocol increases the fishing chances for the EU fleet and sets the compensation under the responsibility of the EU budget in EUR 30 million per year, of which Morocco will allocate EUR 14 million to support the development of the fisheries sector. Investments on aquaculture projects will be increased from their current level of SR20 billion to SR60 billion to produce one million tons of fish products in the next 16 years. Most of aquaculture projects will come in the form of cages in sea waters close to the shore from where the fish will be transferred to nearby processing facilities and prepared for local and international marketing. 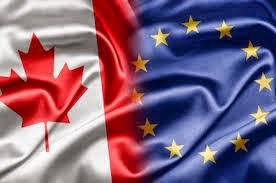 Fish imports from Belize, Guinea and Cambodia are to be banned from the European Union, and three more countries have been warned their imports are in danger, in the first major sanction against countries that allow illegal fishing operations to carry on under their countries' flags. 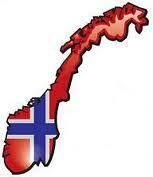 The commission has given a warning also to South Korea, Ghana and Curaçao. These three countries will have to show progress on tackling pirate fishing in the next six months, or their imports will also be banned. 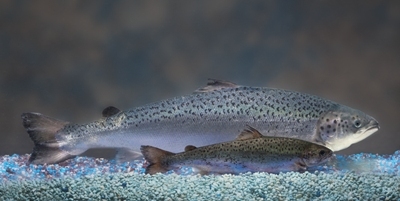 Canada has given the go-ahead to commercial production of genetically modified salmon eggs, bringing the world's first GM food animal closer to supermarkets and dinner tables. The decision marked the first time any government had given the go-ahead to commercial scale production involving a GM food animal. Canadian researchers from the University of British Columbia found out that small-scale fisheries may be catching six times higher fish volumes than it had been officially reported in the Persian Gulf to the United Nations Food and Agriculture Organization (FAO). The scientists that conducted the study remarked that this unreported fish capture using traps called weirs has been revealed through the use of remote-sensing approaches such as Google Earth imagery, which have the potential to validate catch statistics and fisheries operations in general. Thailand’s shrimp sector is on the road to recovery according to analysts from Thai Union Frozen Products. The Nation reports that although no cure to Early Mortality Syndrome exists at present, farmers are now better educated on EMS and how to prevent the disease. The International Commission for the Conservation of Atlantic Tunas (ICCAT) took the decision no to modify 2014 bluefin tuna catch quotas in the Atlantic and Mediterranean Oceans but rejected the proposal to impose stricter protection on shark species. Starting on 1 December the use of video cameras, a new technological tool, will enter into force and together with observers onboard will help to prevent fish dumping by the country's commercial fishing fleet. These measures are part of a monitoring programme announced by the Minister for Primary Industries Nathan Guy in September. These regulations will initially cover 25 per cent of the commercial trawl fleet, expanding to 50 per cent of the fleet by 1 October 2014 and all of the fleet by 1 October 2015. The contribution of fish to global diets has reached a record of about 17 kg per person on average, supplying over three billion people with at least 15 percent of their average animal protein intake. This increase is due mainly to the ever-growing production of aquaculture which is set to overtake capture fisheries as a source of food fish. The report also stressed that the status of global fish stocks has not improved. Scientists from Malta managed to breed bluefin tuna in captivity and provide the basis for future ecologically sustainable aquaculture of this threatened species. The Malta Aquaculture Research Centre (MAR) coordinated the Maltese experiments and the sampling of bluefin tuna from the wild, whereas MFF Ltd was responsible for holding broodstock for egg collection, a large-scale broodstock nutrition experiment, egg transportation trials, and larval rearing trials. Tuna fisheries have entered an age of major transformation. In recent years, all companies and organizations caring about tuna fisheries have taken proactive steps to improve their practices and also governments have begun to push for an improved management. At demonstration of this, the Global Environment Facility (GEF) has approved fundings for projects that will improve fishery performance, eliminating IUU fishing through better monitoring and reducing the ecosystem impacts of fishing, including wasteful bycatch. 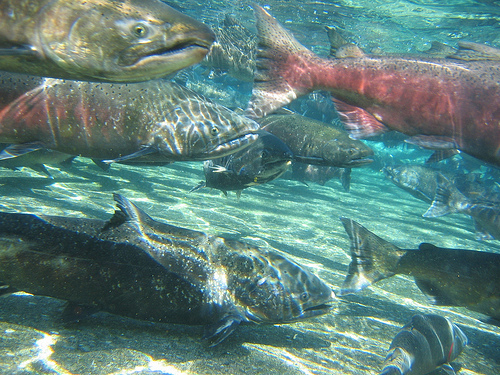 The study provides a snapshot of salmon behavior at a crucial time, after a migration from their freshwater birthplaces to the ocean, a journey often hundreds of miles long. Depending on the species and their age, the fish generally travel anywhere from 20 to 60 miles a day, carried by the current as they navigate much of the journey backwards — tail first. Maria Damanaki, the European Commissioner for Maritime Affairs and Fisheries, claims that while some of the eight countries that were requested to meet their international obligations as to illegal unreported unregulated fisheries (IUU) have made credible progress, others have not responded in the same way. The Institute of Marine Research (IMR) will participate to a new European project for the solving of problems that are obstructing the halibut farming development. There is the intention to develop new protocols that can be used in halibut farming, the creation of vaccines and the establishment of vaccination procedures during the halibut larvae stage. Two Norvegian companies signed an agreement to build the first land based fully integrated cod and salmon farming facility in China. This new aquaculture complex will cover the production of cod and salmon from egg to market size. The farming system will be an indoor temperature controlled RAS (Recirculating Aquaculture System). On tuesday, the fisheries agreement signed between the EU and the Mauritanian government became effective. This fishing deal is the most important one as to volume and variety of species of which the EU has negotiated with third countries. The EU fleet will pay a fee of EUR 15 million for fishing in Mauritanian waters in the first eight months of the agreement and the beneficiaries of this protocol will be especially those countries that fish for tuna, small pelagic specimens and demersal fish. 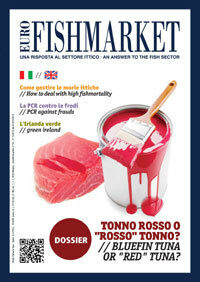 Eurofishmarket Magazine: Bluefin Tuna or "red tuned"? 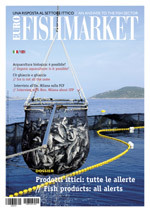 On this new issue: a dossier with an exclusive investigation about allowed, not allowed and omitted additives used in yellowfin tuna to increase shelf life or improve appearance; an update on major fraud replacements; Irish "green" products; how to deal with fish mass mortality and more in depth analyses. The National Marine Fisheries Service (NMFS), the U.S. government agency that regulates offshore fishing, is proposing a complicated new plan designed to reduce the number of bluefin that long-liners inadvertently snare. 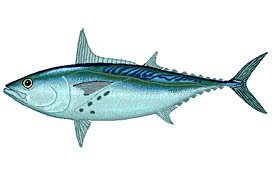 Under the proposal, the NMFS would sharply cut back the number of bluefin tuna that individual fishing vessels are allowed to capture accidentally, setting a quota for each boat and requiring fishermen to include the bluefin they discard at sea under that cap. The authority decided to close one of the platform polygons from Redondela, in the estuary of Vigo, due to the high toxicity of the red tide that has been affecting the area for several days. This summer was very difficult for most mussel producers in Galicia and this was added to the fact that opening of the polygons lasted only a month because the red tide forced scientists from Intecmar to close almost all the areas of the coast in several stages. A team of scientists from the National Fisheries Institute (Inapesca) is working on the development of Pacific white shrimp (Penaeus vannamei) fattening technology in sea cages. 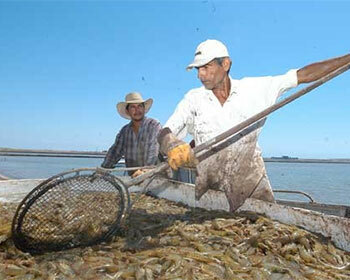 The project, carried out in Barra de Navidad Lagoon, in Jalisco, has as a main objective the promotion of sea farming. 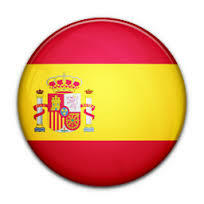 Inapesca scientists will monitor the progress of this initiative until the consolidation of the technology package, which is expected to become an important support for producers. White shrimp farming in cage systems represents a business opportunity for coastal fishermen because it has a lower investment cost and on a short time can be capitalized. Consumer and environmental activists, facing likely defeat in their bid to block government approval of the first genetically engineered salmon, are trying a different tack to keep the fish off America's dinner plates: Getting retailers not to sell it. "The goal is to make sure there is not an available market for genetically engineered seafood," said Dana Perls, food and technology campaigner at Friends of the Earth, an international network of environmental organizations helping to lead the effort to make the fish unwelcome. "People don't want it, and markets are going to follow what people want." 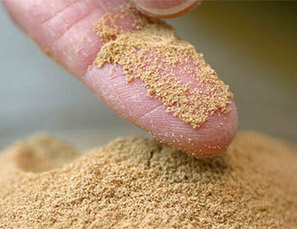 What do you know about environmental contaminants in seafood? Different environmental contaminants can be found inside seafood and often they cause extremely species-specific problems. We all know about heavy metals such as mercury, cadmium and lead that have to be monitored with attention. It will be equally important to monitor the organic contaminants (Polychlorobiphenyls, organic chlorinated compounds, Polybrominated Diphenyl Ethers), also in consideration of their extremely long persistency in the environment. It will also be necessary to take into consideration toxic substances used for a long time but only recently under scrutiny: residues of pharmaceuticals for humans and active ingredients of personal hygiene products. These are in fact emitted in the environment through urban waste because at present the purifiers cannot remove them completely and they contaminate waters and sediments consequently having unwanted effects on non- target organisms. 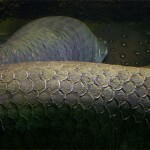 A new species of Amazonian, man-sized fish, also known as arapaima, paiche or pirarucu, has been identified in Brazil. The discovery was performed by the researcher Donald Stewart, Professor of Environmental Science and Forestry at the State University of New York, and released in an article published in Copiea journal. The fish was identified 12 years after it had first been caught in the central Amazon River in 2001, near the confluence of the Solimões and Purus rivers in Amazonas State, Brazil, reported LiveScience. The new specimen, which was recognised with the scientific name Arapaima leptosoma, is currently at the Instituto Nacional de Pesquisas da Amazônia in Manaus. The Secretariat of State for Fisheries and Aquaculture (Sepaq) of Alagoas is working with the federal government to implement the Development Programme of Seaweed Farming and Continental Fish Farming. The programme is based on the experience of the coast of Rio de Janeiro, where macroalgae farming generates revenue for the regional economy. In a first stage, this initiative will be developed in Maceio and Paripueira, in Alagoas state, where it has been estimated that about 1,500 jobs will be created. 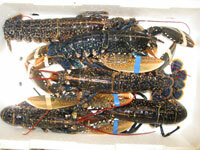 What are the main sanitary problems in seafood products? The RASFF (Rapid Alert System for Food and Feed) is a system implemented to guarantee a fast Exchange of information among the Control Authorities regarding food hazards. This Exchange of information allows the Member Countries to act promptly in response of foodborne diseases. The system provides different types of notifications rated according to the identified risk and the product’s distribution on the market and the most important are: - Alert: an alert is sent when a serious hazard is present and when a product needs to be quickly recalled from the market; - Information: when a fast recall from the market is not necessary because the hazard is not deemed serious or when the product is not marketed at the time of the notification; recently the Commission Regulation (UE) 16/2011 added 2 other types of information: “information for follow-up” and “information for attention”; - Rejection at the border: for all cases involving a rejection at the border. 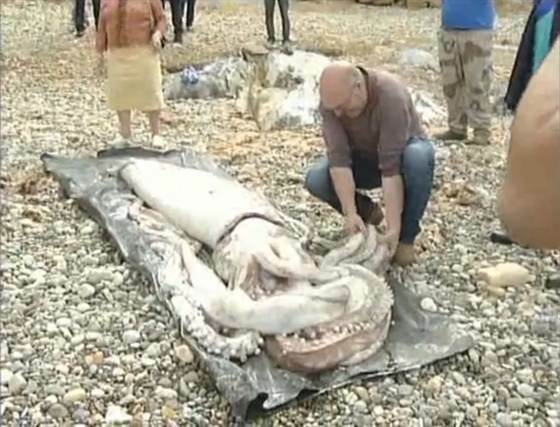 A giant squid washed ashore Tuesday at La Arena beach in the Spanish community of Cantabria. The animal measures some 9 meters in length and weighs a whopping 180 kilograms; according to news reports, it is a specimen of Architeuthis dux, the largest invertebrate on Earth. The whisky and salmon industries in Scotland are about to embark on an innovative new partnership which will convert co-products from whisky production into feed for salmon and fish farming. 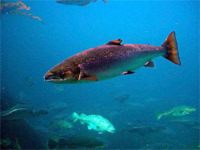 Chemical engineers from Heriot-Watt University in Scotland are looking to convert some of the co-products into protein-rich feed, which could have the added benefit of providing a sustainable and economic supply of feedstock for the growing Scottish fish farming industry. The Scientific Committee of the International Convention for the Conservation of Atlantic Tunas (ICCAT) has just confirmed the recovery of the bluefin tuna in the Atlantic Ocean and in the Mediterranean Sea. Officials of the Secretariat welcomed the findings of the final report, which will be published shortly. 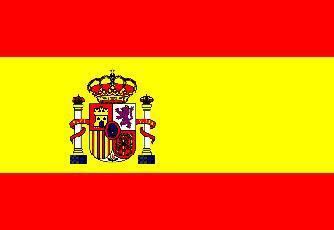 In their opinion, the confirmation of the ICCAT is evident in the light of the results of the 2013 fishing season. Prague, World Veterinary Association Meeting - SIMeVeP and Eurofishmarket presented a poster of a first research (With the collaboration of the University of Padova) for a real evaluation about seafood shelf-life deepening various methods, in particular the modified atmosphere packaging. 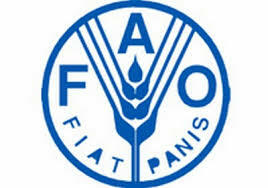 Proved wrong the news relating a presumed radioactivity in canned tuna from the FAO areas 61 and 71. Eurofishmarket has worked with various media to reflect on the subject in a scientific manner and invites all interested companies to collaborate with a project coordinated by the IZS of Rome useful to test your product for free for the above aspects. To access the project or get information about Suppression of the news "hoax" relating to an alleged radioactivity in canned tuna from the FAO areas 61 and 71. Eurofishmarket has worked with various media to reflect on the subject in a scientific manner and invites all interested companies to make free use of a project coordinated by the IZS of Rome useful to test your product for free to the above aspects. To access the project or get information about download the file. Seafood New Zealand has launched a Healthy Fish campaign, designed to help shoppers feel more confident about buying, cooking and eating New Zealand seafood. 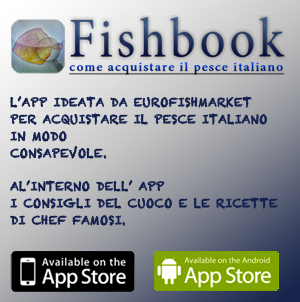 Healthy Fish is a website that can be accessed from desktop and tablet devices, and acts like an app on mobile phones. It offers fish lovers and novices alike a wealth of information, from nutrition details and preparation tips, to sustainability information and recipes. New research could provide important insight into how to predict salmon mortality in Infectious Salmon Anaemia (ISA) outbreaks. Researchers at the Aquaculture Biotechnology Center (CBA) and the Faculty of Chemistry and Biology, at the University of Santiago, Chile, conducted a study. According to Dr Mario Tello, the results of this study are one of the first hypotheses to explain why a highly variable region of the virus, called HPR (High Polymorphism Region English) would be associated with the virulence observed. 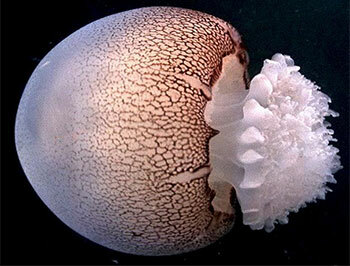 A group of seafood producers from Sonora and researchers of the Biological Research Centre of the Northeast (Cibnor) argues that the cannonball jellyfish (Stomolophus meleagris) from the Mexican Pacific coast has great potential for commercial exploitation. It is currently listed as an invasive species that can affect the ecosystem food chain, scientists of Cibnor pointed out. But according to Juana Lopez Martinez, the expert project leader, it is possible to resist the negative effects, since it has the advantage of being edible. 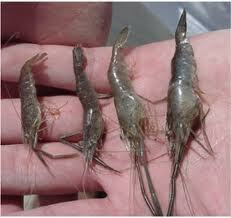 And it can be an alternative for fishermen due to its high value in Asia, since there it is considered a delicacy. 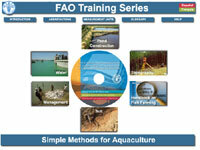 Certification: Improving Sustainability Of Aquaculture? A team of scientists from the National Scientific Research Council (CSIC) investigates the implementation of new technology to extend the shelf life of some commercially important frozen fish and improve conservation. This initiative has been joined by experts from the Marine Research Institute from Vigo (IIM -CSIC), of the University of Santiago de Compostela and of the universities of Oregon (US) and Aveiro (Portugal). As a result of a multidisciplinary study involving biochemical, sensory analysis, the scientific team was able to increase the shelf life of frozen mackerel (Scomber scombrus) and of horse mackerel (Trachurus trachurus) for three/six months to between 9 and 12 months. On the same day that the Aquaculture Stewardship Council issued a press release claiming to have made considerable progress in improving global aquaculture sustainability an article has been published in the journal Science arguing that such standards have severe limitations. As the paper observes, only around 5% of global aquaculture production is currently certified and potential for further growth is limited by the concentration of demand for certified seafood in US and EU markets while the majority of seafood consumption occurs elsewhere, notably Asia where most fish and shrimp farming occurs. Furthermore, the 13 main species currently covered by the ASC currently account for around only 42% of worldwide aquaculture seafood production, leaving the remaining 58% with no opportunity for certification. Minimal adjustments in harvesting practices could help detect threats from overfishing early enough to save fisheries and livelihoods, according to a new research made by the University of Minnesota’s College of Biological Sciences. Specifically, the work demonstrates how extinction and overfishing threats from multispecies fisheries can be identified decades before valuable species are over-harvested and populations decline. Most of the world’s large fisheries use nets or lines with multiple hooks, which catch multiple species simultaneously and have serious ecological consequences. Past population declines and current increases in harvest rates can be used to assess current threats of overfishing and extinction, but this approach doesn’t apply to future threats. By predicting future threats, the researchers’ new method would enable conservation measures to prevent overfishing and extinction. Researchers at the University of Rhode Island have found that scallops have beneficial uses in medicines and as an ingredient in aquaculture feeds. Chong Lee, URI professor emeritus and research in nutrition and food sciences, found that parts of the scallop that are usually wasted have a potential use in fish feeds and as nutraceuticals. Mr Lee and his team have been investigating the nutraceutical properties of scallop viscera hydrolysate (SVH); Mr Lee and his team assessed SVH for its attractiveness to fish as a flavor enhancer as well as its capacity for stimulating growth. They conducted feeding trials on summer flounder and European sea bass that revealed that SVH performed the best in terms of weight gain and feed consumption. They believe this is due to its properties as a feeding attractant or flavoring that stimulates feeding behavior. David Brune, professor at Missouri university, has invented a shrimp-farming system that not only grows shrimp quickly but also produces zero waste. Brune, who has researched aquaculture for around 30 years, developed a Partitioned Aquaculture System (PAS) which partitions the fish culture from the water retreatment system. Using paddle wheels at the university pond holding one-twentieth an acre of water, a high rate of algae is produced. The Pacific shrimp grow quickly too. “I can grow a crop of shrimp here every 120 days. If I can raise the equivalent of 25,000 pounds per acre of water and I can get USD 4 (EUR 3) a pound, that is a USD 100,000 (EUR 75,100) cash flow per acre of water every 120 days,” Brune said. 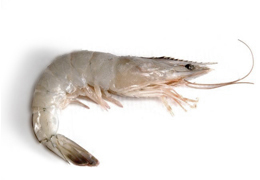 The PAS produces between 15,000 to 20,000 pounds of shrimp per acre, per year. A fifteen percent cut of young bluefin tuna for 2014 has been agreed by the Pacific Nations to protect bluefin tuna stocks, which are in decline due to overfishing. The measure has been adopted for conservation reasons and to bring the bluefin tuna stock number back up. 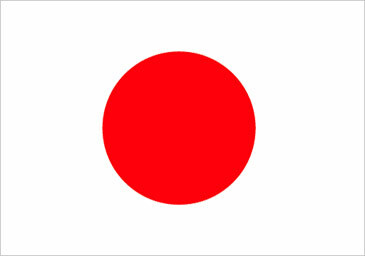 The decision was taken after a meeting of a subcommittee of the Western and Central Pacific Fisheries Commission (WCPFC) held in Fukuoka, Japan, after four days, AFP reported. Infopesca, along with the United Nations Food and Agriculture Organization (FAO), the Ministry of Fisheries and Aquaculture of Brazil (MPA) and the Government of the State of Rio de Janeiro, are organising the World Conference on Tilapia. The event will be held in the city of Rio de Janeiro from 16 to 18 September at the auditorium of the Naval War College. Market analysts with great experience and representatives of the productive and commercial sector will present the main aspects and recent developments in world tilapia. The Alaska Seafood Marketing Institute (ASMI) is pleased to announce the Alaska salmon fishery has completed the second annual audit of the FAO-Based Responsible Fisheries Management (RFM) Certification. The objective of the audit is to monitor any changes since the previous assessment. The recent enforcement of the commercial sanctions imposed by the European Union (EU) on the Faroe Islands due to the increased fishing quota, which trebled its previous allocation, is generating strong tensions. The Faroe Islands authorities are not happy with the measures because they would rather have a negotiated settlement and has asked -- and obtained -- a new opportunity to argue its case, with two-day talks being held in London. The Faroese government is blaming it all on the herring migratory habits which, they argue, have changed bringing more fish into its waters. The British mackerel industry has said it is pleased Iceland has decided to restart negotiations with Norway and the EU over mackerel quotas. Iceland’s Fisheries Minister Sigurður Jóhansson announced the news his country was prepared to discuss quotas again following a lengthy dispute with other nations about the size of the North Atlantic nation’s catch. Who will win the "mackerel war"? Norway - Fish farming companies are raising one million sterile salmon in sea cages – for the purpose of research that may help to get the upper hand on this problem. These sterile fish are triploids, a genetic condition induced by a non-GMO method developed through long-term Norwegian research efforts funded in part by the Research Council of Norway in close cooperation with the aquaculture industry. In the framework of a meeting between Mexican officials and producers with international experts, it was announced that it has identified the early mortality syndrome (EMS) as the cause of the mass death of shrimp in farms in the states of Sonora, Sinaloa and Nayarit. The specialist noted that this disease has been in Asia for four years, and while this problem has not been solved yet, the causative agent is known: a strain of the bacterium Vibrio panahemoliticus. Under measures adopted by the European Union on 20 August, importation of herring and mackerel fished by the Faroes from Atlantic and Scandinavian waters will be banned in Europe, and some boats from the country will be banned from European ports. “The imposition of such measures is always done as a very last resort. The Faroese could have put a stop to their unsustainable fishing but decided not to do so,” said European commissioner Maria Damanaki in a statement. This is caused by the Faroe decision to go out from a system in which Faore Islands, Russia, Norway and Iceland set an allowable catch level for this species. The Faroe Islands’ government announced it was taking the EU to an international tribunal over “threats” of economic sanctions over the row. According to the Faroes, it is willing to negotiate, and was planning to do so at a 2 September meeting of the states that fish for this fish. MALTA - The Maltese government is to build a new marine hatchery to replace the Malta Aquaculture Research Centre (MARC) One of the hatchery’s priorities will be to intensify existing research on the farming of blue-fin tuna, with the long-term goal being a successful closed-cycle aquaculture process – as opposed to the capture-based aquaculture presently employed – for the lucrative species, whose numbers have dwindled rapidly in recent years. After nearly 10 years of intense and fruitful research, the work of a group of women from Sisal, on the Yucatan coast, established the first successful Octopus farm in the world, in this case, the species in question is the Maya Octopus, endemic to this region. “There has been several attempts in other parts of the world, but especially focused in fattening, which is different to raise them from the hatching of the eggs,” said Guadalupe Villegas Barcenas, graduate student of Marine Sciences and Limnology at the Multidisciplinary Unit in Teaching and Research (UMDI) campus Sisal, Yucatan of the Autonomous National University of Mexico (UNAM). The group consists of researchers from the UMDI and graduate students from various parts of the country and the world, which provide the knowledge gained in their experiments. The members of the cooperative form a bi-directional flow between science and knowledge of the environment, and the experience of the inhabitants of this coastal town. The European Commission has introduced new guidelines on labelling for fish and aquaculture products in the EU to help consumers make informed decisions on the food they eat. 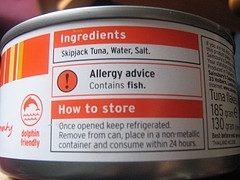 Labels must already include details of where the fish was caught, by whom and how it was produced. As of 13 December 2014, labels will have to include date of minimum durability and whether it has been defrosted or not. For those with industry knowledge, there will also now be an obligation to display the scientific name of the product, a more specific description of where it was caught, and details of the fishing gear used. National Prawn Company (Saudi Arabia) and BASF (Germany) have made a deal for the collaboration in the field of algae technology encouraged by their excellent results. National Prawn Company has cultivated knowhow and expertise in designing, building and operating a large system of man-made-lakes to farm high-quality prawns. 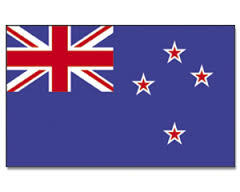 NPC is also creating research programmes on new algae species and sponsorships aquaculture projects worldwide. Meanwhile, BASF is the global leader in technologies related to growing and harvesting algae in open-lake-systems and in subsequent processing of the algae biomass into products used in beverages and dietary supplements. After months of investigation by a research team led by Donald Lightner at the University of Arizona, the elusive pathogen causing early mortality syndrome (EMS), an emerging shrimp disease in Southeast Asia more technically known as acute hepatopancreatic necrosis syndrome (AHPNS), has been identified. The researchers found that EMS is caused by a bacterial agent, which is transmitted orally, colonizes the shrimp gastrointestinal tract and produces a toxin that causes tissue destruction and dysfunction of the shrimp digestive organ known as the hepatopancreas. It does not affect humans. 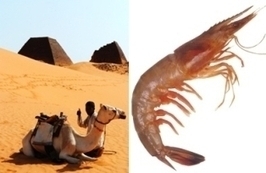 By 2014, there will be a new technology that allows marine shrimp farming in the middle of the Sahara desert. South Korea is the main leader of this project, as it agreed to funnel its technology and capital into the desert-based cultivation of shrimp. This shrimp farming project is part of the economic cooperation partnership between Korea and Algeria, and the success of the project can further cement bilateral relations. 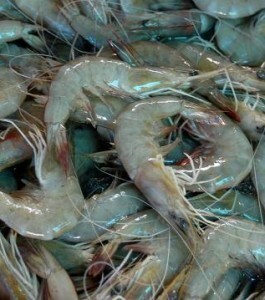 The shrimp farming project in Algeria’s Saharan desert had officially begun on May 20th, said the Ministry of Food, Agriculture, Forestry and Fisheries (MIFAFF). An indoor aquarium was completed in Nagasaki on July 3 for the collection of fertilized bluefin tuna eggs, a possible big step toward completing the farming cycle for the prized fish. The fry born from the collected eggs will be raised in net pens. 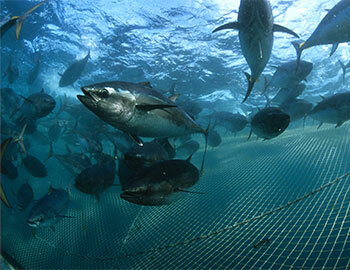 The tuna is now farmed in outdoor net pens, but changes in water temperature and the amount of sunlight directly affect the fish, making it difficult for stable fertilized egg collection. In addition, during the process of growing into fry, the eggs and larvae are often eaten by other fish or die when caught in the nets at the pens. With tilapia you can make everything. After the tilapia guts used for the production of biofuel, let's see how this fish skin can be used. Croatian fishermen fear EU entry may sink their trade due to new fishery laws that will oblige them to spend more than 17000 euro to replace all the tools that they will no longer be able to use and for which there won't be any financial compensation. 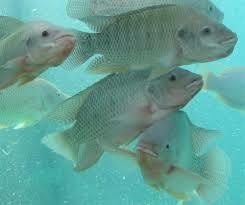 Two new biofuel tilapia-based plants were built in Brasil. These plants utilize tilapia waste for the production of grease that will be transform into biofuel. The process to transform fish waste into biofuel is very important: it adds value to discarded materials and it helps in the development and employment of alternative fuels. Each of these plants could be able to produce about 8000 liters of biofuel per day . On 4 May, the European Food Safety Authority opens its doors from 15.00 to 19.30. Through this initiative EFSA celebrates the European Year of Citizens 2013, dedicated to the rights that come with EU citizenship, and Europe Day, on 9 May. During the Open Doors, you will find out about EFSA’s areas of work and main achievements in the past 11 years in an interactive and engaging manner: from nutrition, to animal health and welfare, plant health, and pesticides. It will also be an opportunity to meet and talk to EFSA’s scientific and communication experts. "The New Fulton Fish Market is the nation’s largest seafood market, and second in the world to Tokyo’s. Here, in a refrigerated building the size of six football fields, fishmongers are frenetically filleting, selling and packaging seafood — 200 million pounds a year worth close to $1 billion by some estimates. It is headed for restaurant tables, stores and mouths across America." China is under-reporting its overseas fishing catch by more than an order of magnitude and mainly in West Africa, according to a new study. 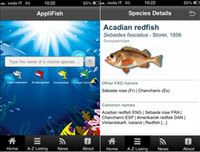 Released a new free mobile application developed by the fisheries and biodiversity knowledge platform i-Marine makes aquatic-related information available to anyone, anytime, anywhere. 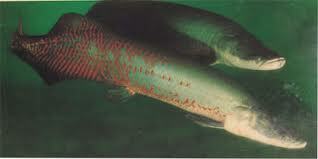 The newly discovered species, called Alburnoides manyasensis, belongs the large carp family Cyprinidae. Sharks risk being driven to extinction due to overfishing, with almost 100 million killed each year. The Fisheries Council adopted a second general approach on the proposal for a regulation on the common fisheries policy (CFP) replacing the basic provisions of the CFP as part of the CFP reform "package." It's now available the draft report on the proposal for a regulation of the European Parliament and of the Council amending Council Regulation (EC) No 1342/2008 of 18 December 2008 establishing a long-term plan for cod stocks and the fisheries exploiting those stocks. Once again Canada proves to be at the cutting edge of sustainable fisheries. The Ministry of Fisheries is valuating the proposal of New Brunswick and Nova Scotia fishermen: they want to see the minimum size they can legally trap increased to 77 millimetres over the next three seasons, from the current 72 millimetres, to improve conservation. The European Parliament passed a sweeping fishery policy reform bill by a healthy margin this week, to the delight of environmental groups and the European Commission, who hailed it as a step toward responsible fishing in Europe. The considerable increase in fish products consumption of the last few years, aided by the simultaneous introduction of exotic dishes with raw fish as their basic ingredient, has brought to the forefront the "sgombroid syndrome" caused by the ingestion of food with a high histamine content. Eurofishmarket Report mistake or oversights media traced TV programs, newspapers, etc..